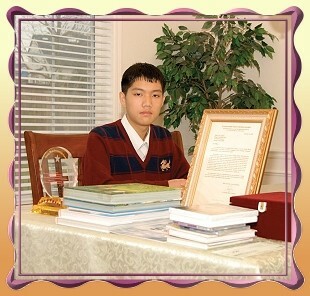 On January 10, Golden Year 6 (2009), representatives from The Supreme Master Ching Hai International Association presented the Shining World Inventor Award to 13-year-old William Yuan for inventing a new kind of high efficiency solar panel that enables light absorption from visible to ultraviolet light. William started working on the solar cell two years ago as a school project because he wanted to help solve the problem of finding clean energy for our planet. In his project, he built upon research done at Georgia Tech and Notre Dame Universities and found a new way to improve the solar cell using nanotechnology. This novel invention allows the solar cell to harness both visible and ultraviolet light, which means that it can produce electrical energy even on cloudy days. The carbon nanotubes he designed double the light-electricity conversion efficiency. He also developed a model for solar towers and a computer program to simulate and optimize the tower parameters. His optimized design provides 500 times more light absorption than commercially available solar cells and nine times more than the cutting-edge 3-D solar cells. 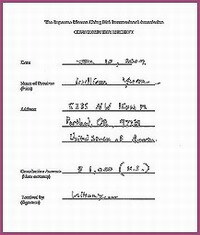 For this innovative design, the prestigious Davidson Institute, which recognizes scholars under the age of 18 for their extraordinary work in a variety of subjects, gave William a US$25,000 fellowship grant, making him the youngest recipient to be awarded this honor in the science category. 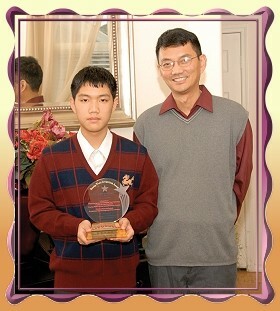 Apart from doing scientific research, William also plays the piano and enjoys a challenging game of chess. Thank you for the letter, and for your acknowledgement of my accomplishments. It is a great honor to receive this award from your organization. The Earth is changing rapidly, and our young generation will face great challenges on environmental and energy issues. Actions must be taken if we want to continue with our day-to-day lives. I appreciate the efforts your organization makes on behalf of the world. I would like to wish you good health and good luck. 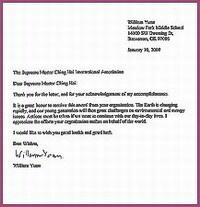 Extraordinary William Yuan, we wish you the best, and may Heaven bless your talent and compassion in continuing to benefit our world.